Any molecule can absorb UV light. What the question is probably going for is why those three molecules absorb at longer wavelengths than other amino acids. This has to do with the conjugated pi bonds from aromaticity. 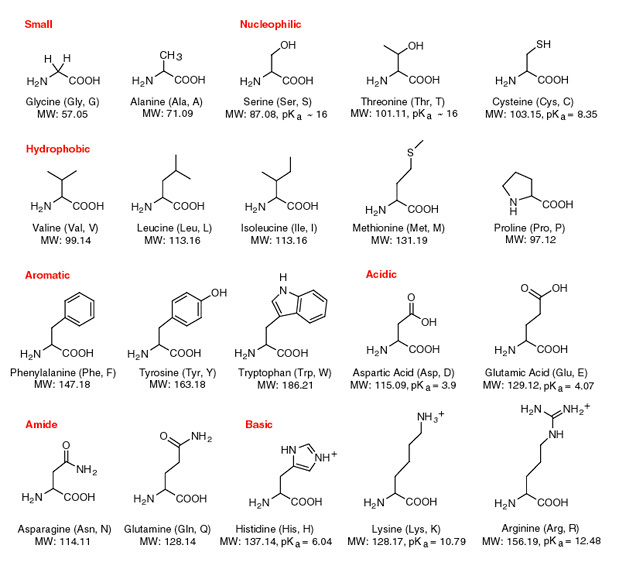 Looking at a list of amino acids, we can see that most of them don't have conjugated pi ystems. Conjugated pi bonds decrease the HOMO-LUMO energy gap the more they are conjugated. This allows longer wavelength (lower energy) light to excite the molecule by promoting an electron from its HOMO to LUMO. UV light is in the range of about 10-400 nm. A single bond (sigma bond) would absorb around 130 nm. Ethene's single pi bond is at 165 nm. A benzene ring's conjugated double bonds peak primarily at 180 and 200 nm. Further conjugation can absorb longer wavelengths and, like anthracene, begins edging into visible light, which as a result has a yellow color and more transitions in the UV-VIS spectrum. NIST has UV-VIS spectra for both benzene and anthracene which you can compare. All that said, the other amino acids do have double bonds and lone pair electrons (carbonyl groups) that can absorb light in the UV range (remember any bond, including single bonds, will absorb UV light if you go low enough). The lone pairs on a carbonyl group can absorb at higher wavelengths than benzene. These involve electronic transitions between a non-bonding electron to the LUMO; the transition energy is so low because a non-bonding electron does not have its energy lowered like a bonding orbital. The gap between a non-bonding orbital and anti-bonding orbital is therefore much smaller than usual. There was a good post on pi-conjugation elsewhere on the site, here. You can read more about carbonyl excitations here. For general excitation values, this page was useful. As far as the molecule is concerned there is no distinction between visible and uv light. In each case the transition is from a ground state to an electronically excited state. This is caused by a photon being absorbed and its energy taken up by the molecule. In doing so an electron is promoted from a lower orbital to a higher one. The lowest energy transitions are from the LUMO to HOMO. The conjugation in a molecule lowers the orbital energy because, in effect, an electron is able to 'spread out' and is not confined to be associated with just two atoms. Thus the greater the extent of conjugation the lower the orbital energy and the smaller the energy gap between the ground state and lowest excited state. You can think of this rather like a particle in a box, the longer the box the lower and closer the energy of the various levels becomes. A conjugated molecule has transitions associated with electrons in pi orbitals; $\pi$ to $\pi^*$ transitions. Molecules with non-bonding electrons can also have $n \rightarrow\pi^*$ transitions and when there are only sigma bonds the high energy transitions are $\sigma \rightarrow \sigma^*$ in nature. In addition to the lowest electronic transitions there are transitions to higher electronic states, where an electron is promoted to a higher anti-bonding orbital than the LUMO. Each electronic state so produced also has its own set of rotational and vibrational levels in the same way to the the ground state. Thus the spectrum can become congested even when molecules are studied in the low pressure vapour phase where the influence of collisions with other molecules and solvent is absent. Not the answer you're looking for? Browse other questions tagged physical-chemistry spectrophotometry amino-acids or ask your own question. Why does the energy gap for π - π* transitions shrink with the size of the pi-conjugated system? Why do complex ions not emit light from de-excitations of electrons? How do I calculate the isoelectric point of amino acids with more than two pKa's?